Yes, Dear Reader, I have posted the muscle man before; but he’s so nice … I have to post him twice! These photos are from last October. I remember it as the most perfect “riding-weather” day of 2012. It was just gorgeous from sunrise to sunset. 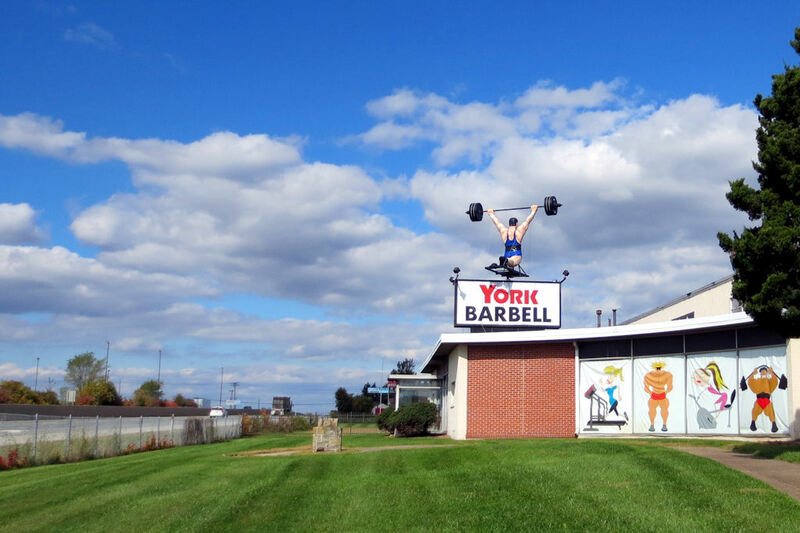 If you have ever been on Interstate 83 just north of York, PA you’ve probably noticed our muscle-bound hero in action. The last time that I visited him up-close-and-in-person he wasn’t rotating. As luck would have it, he was on this day. Click play on the embedded video at the end of this post to see him spinning in all his glory! 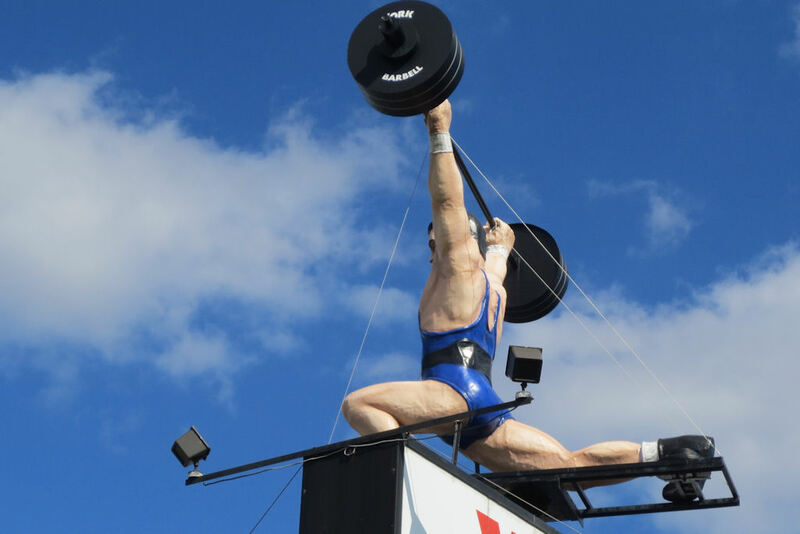 The big guy is loosely modeled after Olympic weightlifter Norbert Schemansky (although Mike Locondro, York Barbell’s retail sales manager, told me just his body was modeled after Schemansky – not his face). 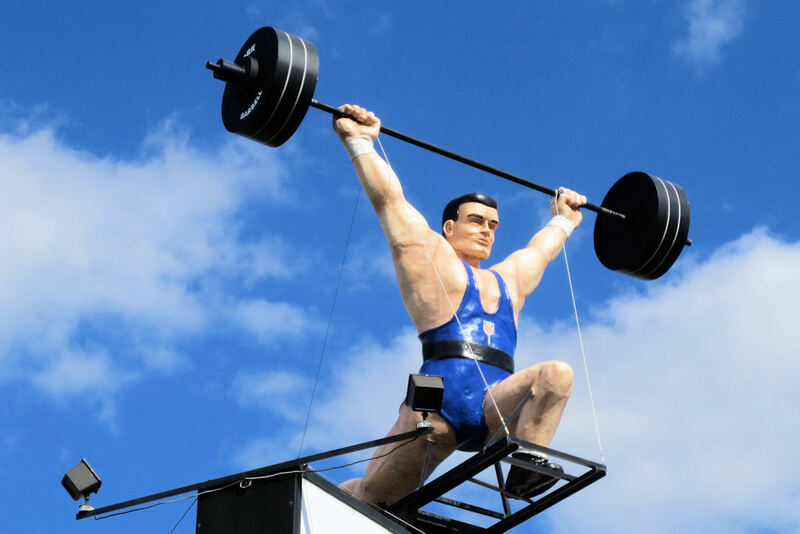 Does Your Muffler Man have a spare tire? Maybe Muscle Man can help! Cool! I can’t weight to see him.